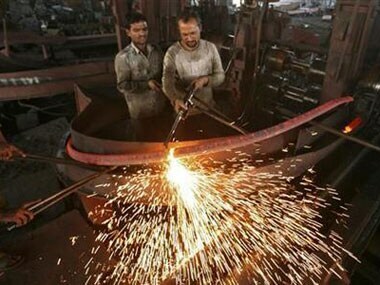 New Delhi: The Asian Development Bank (ADB) has slashed India's GDP growth forecast for the current fiscal to 7 percent from 7.4 percent owing to weakness in private consumption, manufacturing output and business investment. The 7 percent GDP growth expected in 2017-18 is lower than 7.1 percent recorded in 2016-17 and its earlier projection of 7.4 percent in July. ADB pencilled in 7.4 percent for 2018-19, down from the earlier forecast of 7.6 percent in July. It was, however, bullish on growth gaining traction on reforms. "Private consumption is expected to pick up on the back of low inflation and anticipated wage hikes. Manufacturing is also likely to bounce back as the sector adjusts to the new tax regime," the multilateral lending agency said in an update on its Asian Development Outlook (ADO) 2017. The ADB raised its forecast for Chinese economic growth to 6.7 percent in 2017 from 6.5 percent and upped its estimate for 2018 to 6.4 percent from 6.2 percent. 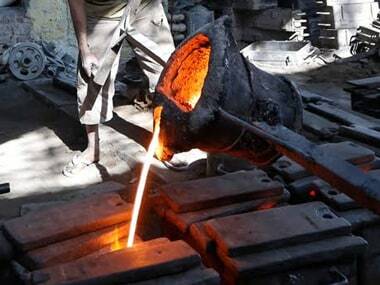 India's growth fell to a 3-year low of 5.7 percent in the April-June quarter of 2017-18 "due to lingering effects from demonetisation and transitory challenges related to the new goods and services tax (GST) regime", it said. "Weakness in private consumption, manufacturing output, and business investment has resulted in lowering the short-term growth outlook for the country," it added. On the June quarter dip in expansion, it said growth in private consumption and industry declined compared to previous quarters. Fixed capital formation grew by a sluggish 1.6 percent, indicating a sharp slowdown in private investment. Government consumption and services, however, continued to buoy economic activity. "India's ambitious reforms agenda will lead to higher long-run growth for its economy," said Yasuyuki Sawada, ADB Chief Economist. 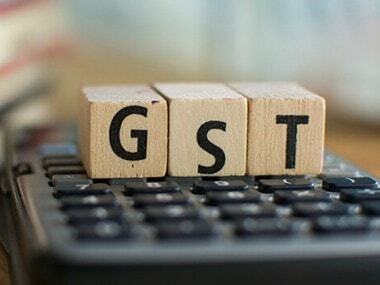 "Despite the short-term hiccups as firms adapt to the national GST, we believe that continued reform progress will help India remain one of the world's most dynamic emerging economies." Moving forward, the Update notes that forecasts for the rest of the current fiscal will be more bullish as private consumption is expected to gather pace on the back of low inflation and anticipated wage hikes. Manufacturing is also likely to bounce back as the sector adjusts to the new tax regime while services will remain robust as trade and transport services revive with the easing of cash constraints. "Investment growth, however, is likely to remain muted in 2017-18 as budgetary constraints limit government expenditure. 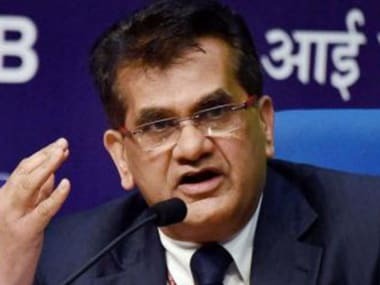 Growth will further pick up in 2018-19 as the new tax regime improves domestic competitiveness and government efforts to improve health of the banking sector aid private investment to yield results," the bank said. Inflation, on the other hand, is expected to average 4 percent in the current year and 4.6 percent in the next, significantly lower than the previous estimates of 5.2 percent and 5.4 percent, respectively. tax revenue and a slow start to the disinvestment of public sector enterprises. Tax collections are likely to gather speed as firms adjust to the new tax regime, it said. "Strong global growth and an improved business climate will help India's exports grow at a faster pace in 2017-18 and 2018-19. Efforts to improve domestic demand will also spur import growth as private investment picks up, thereby widening the current account deficit compared to the past couple of years," it said. ADB noted that government efforts to liberalise foreign ownership caps across sectors and foster a friendly investment climate will help attract stable foreign direct investment flows and comfortably finance the current account deficit. It has upped its forecast for growth in developing Asia -- comprising 45 countries in the Asia Pacific -- to 5.9 percent in 2017 from 5.7 percent, and 5.8 percent in 2018 from 5.7 percent.